Sometimes being a bit of a hot head is a good thing. Take the Red Ninja from Lego’s Ninjago Movie for instance. When a whole bunch of Garmadon’s goons are looking to destroy the city, should the Secret Ninja Force just sit around on their butts, not getting mad about it? No siree! That’s when you need to get a little fired up, so you can break out your katanas and take down the bad guys and save Ninjago. 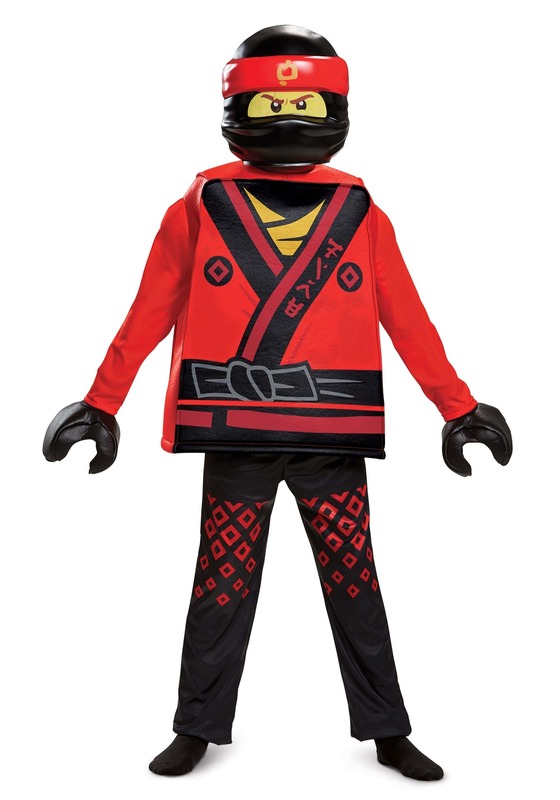 If your child is the type to get all fired up to fight the forces of Lord Garmadon, then maybe it’s time he changed into the uniform of one of the greatest ninja around! This Ninjago Movie Kai deluxe costume is a kid’s costume that’s designed to look like the character from the film. It comes with a red tunic top, which is designed with the boxy look of a Lego minifigure. It also has the printed details from the movies on the front, giving your child the full illusion of being a Lego ninja warrior. A pair of black and red pants is also included to help continue the ninja style. 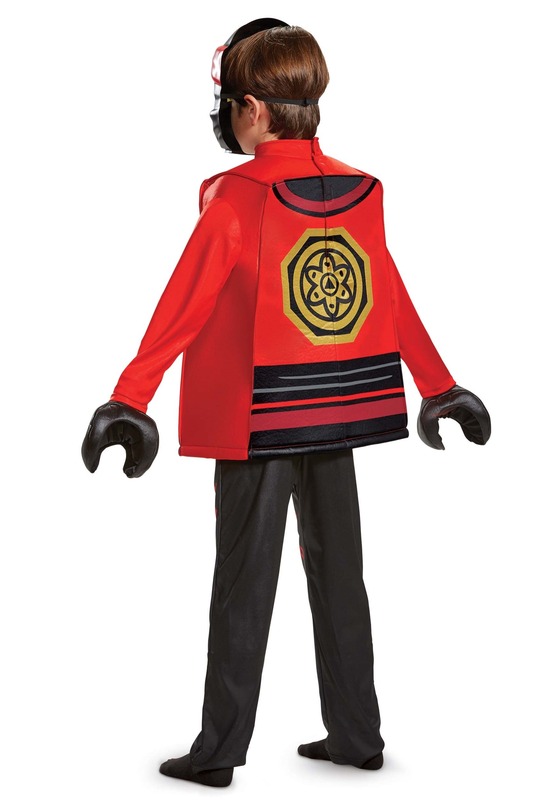 The costume comes complete with a mask and pair of Lego hand gloves to really get your child into the Ninjago spirit. 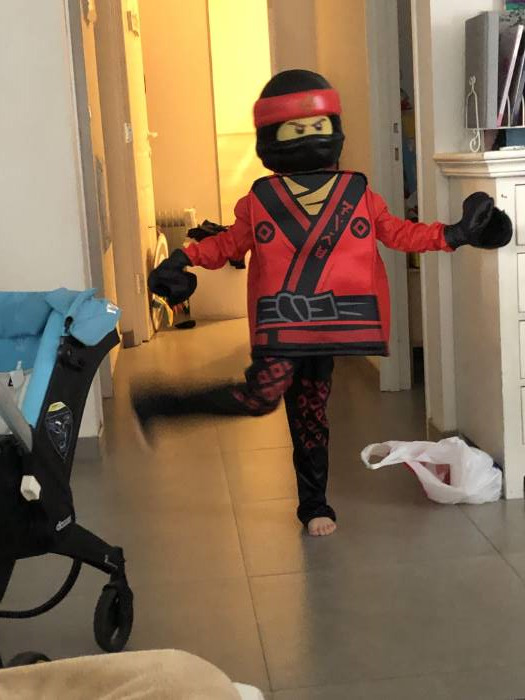 Once your child has it on, he’ll be ready to protect your home from the forces of Lord Garmadon and he’ll be ready to fight against an army of imaginary ninja (the enemy of choice for many young kids with an active imagination). Arrived very fast, before the time. Great costume, high quality product and our son is very excited to wear it. Unfortunately, the mask is very inconvenient and almost unusable. My 7 year old LOVED it and he was so cool in it. he is small so I bought him the small size. perfect.